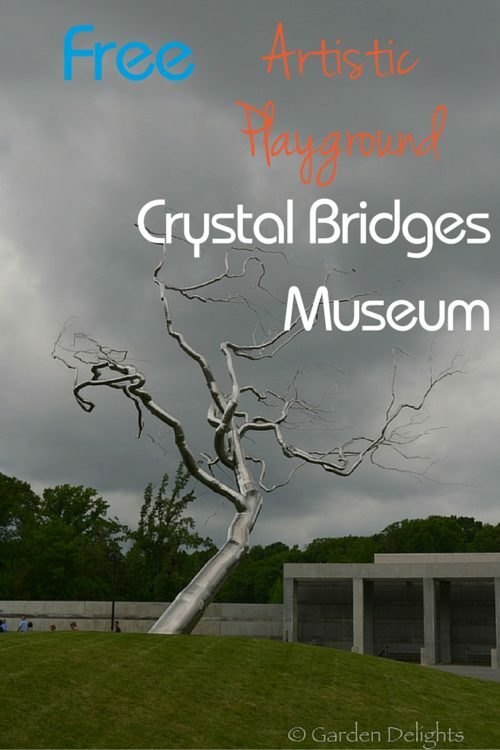 Home » Blog » Free in Arkansas » Free Family Fun at Crystal Bridges Museum in Bentonville, AR. Photo credit: Julie Thompson-Adolf, Garden Geek Traveling Mom. Nancy Schon's "Tortoise and Hare," 2009 at Crystal Bridges Museum of American Art. Where can you spend a family-friendly, fun day enjoying the great outdoors,while giving your kids a taste of culture and a bit of art education, too? 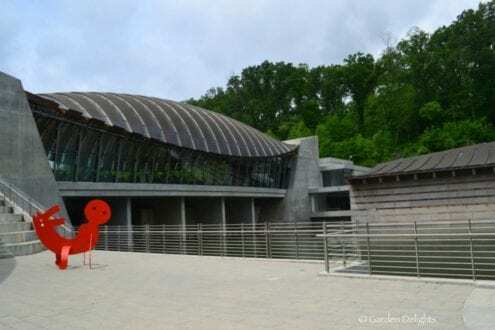 Crystal Bridges Museum of American Art in Bentonville, AR, beautifully blends art with nature. It also provides access to everyone with free admission daily, part of the mission of founder and Walmart heir Alice Walton. Pack a picnic and get ready to be inspired. Photo credit: Julie Thompson-Adolf, Garden Geek Traveling Mom. Keith Haring’s Two-Headed Figure, 2011. Growing up outside of Chicago, I spent many days meandering art museums, happily wiling away hours lost in thought. Honestly, is there anything as inspiring as gazing at masterworks, letting your mind create stories both of the art and the artist? Once, I had the insane good fortune of receiving an invitation to a private showing of a Monet exhibit. I can’t recall who sponsored the party or why I was invited. All I know is this: there was a moment when I was alone with a gallery filled with Monets, champagne glass in hand, and not another soul sharing my view. Whenever I’m near a big city, I try to find the opportunity to visit its art museum. And whenever I can, I try to share art museums with my kids. Imagine my excitement when I received an invitation to tour an amazing museum, notable not only for its fabulous collection of American masterworks, but also for its natural setting and native plant collections. A garden and art lover’s paradise! Photo credit: Julie Thompson-Adolf, Garden Geek Traveling Mom. 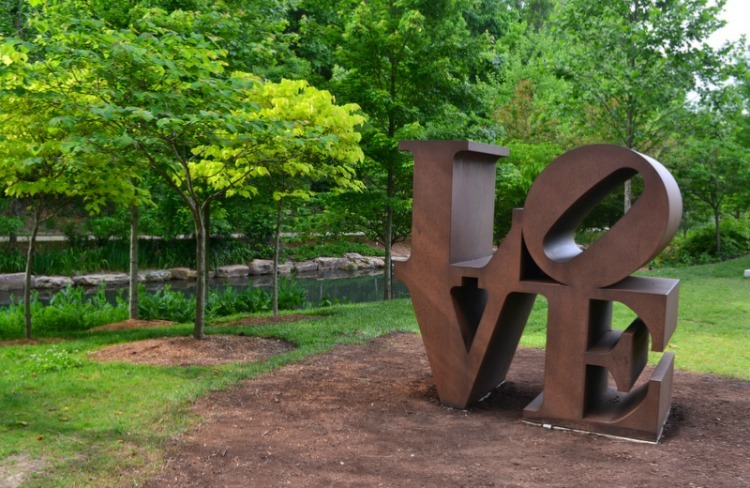 Iconic artist Robert Indiana shares his “LOVE” around the world, including Crystal Bridges Museum of American Art. I’m embarrassed to say I didn’t know much about Crystal Bridges Museum of American Art before my trip. Honestly, I didn’t expect a world-class art museum as a destination in Arkansas. New York, Los Angeles, sure. However, providing accessible art and culture to the residents of Arkansas is the goal of Crystal Bridges. Photo credit: Julie Thompson-Adolf, Garden Geek Traveling Mom. Nancy Schon’s “Tortoise and Hare,” 2009 at Crystal Bridges Museum of American Art. 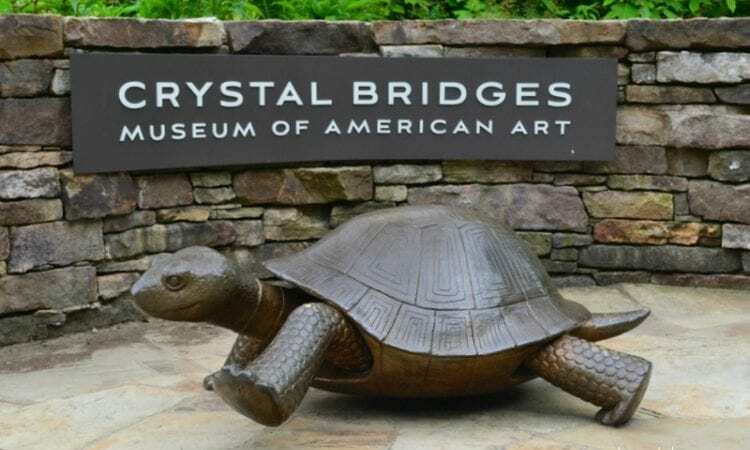 Founded by Wal-Mart heir Alice Walton, Crystal Bridges opened on November 11, 2011. A long-time art enthusiast and collector, Walton envisioned an architecturally spectacular museum nestled in the natural environment of the Ozarks, where local people could access great works of art. She shared her vision with her family, and the Walton Family Foundation agreed to support the project. As ground broke in 2006 for the museum, Walton began shaping the collection along with her advisors. The project wasn’t without controversy. When the team acquired Asher B. Durand’s Kindred Spirits from the New York Public Library, critics characterize Walton as an art vulture, hiding the great American masterworks in Arkansas. However, regional fans embraced her vision, backing bonds to enhance Bentonville’s infrastructure to support the museum. The locals eagerly anticipated the opening of Crystal Bridges. With more than three miles of trails meandering through the Ozark forest, visitors quickly forget that there’s a bustling, world-renowned art museum just yards away from the tree-lined paths. My first foray into the woods gave me an overview of the trails and native plants. A guide shared tidbits of museum history while pointing out the cultivars of dogwoods and red buds. In fact, more than 250,000 native plants or cultivars were planted throughout the museum grounds, including 1,600 trees, all to add seasonal interest to the property. From pink dogwoods along the entry drive to red maples along the south lawn, eye-catching seasonal color and texture are creatively incorporated into the landscape. Photo credit: Julie Thompson-Adolf, Garden Geek Traveling Mom. Dan Ostermiller’s “Shore Lunch” provides a great spot to picnic with the kids. One of my favorite philosophies employed by Crystal Bridges’ director of grounds and facilities is this premise: “Leave No Child Inside.” Many gardens are not child-friendly. Trust me, I’ve pulled my youngest son out of a 200-year-old Japanese maple at Biltmore Estate. 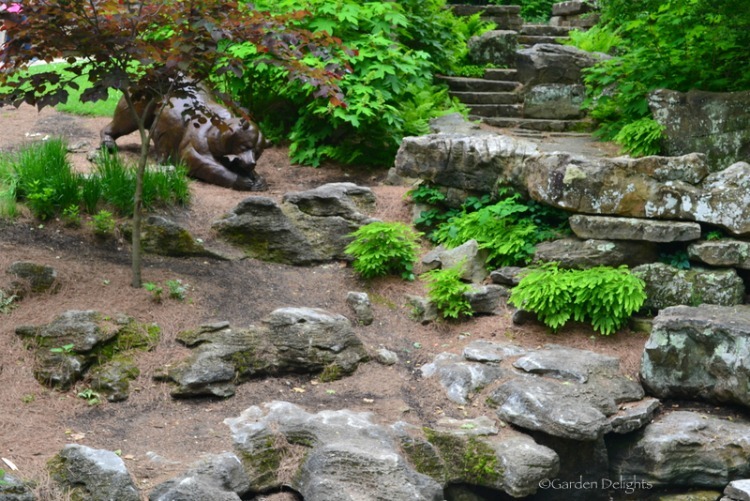 However, the grounds of Crystal Bridges encourage children to play and explore. It’s OK to climb on Robert Tannen’s boulders, Grains of Sand. Splashing in the water of Cindy Spring elicits shrieks of joy, not reprimands. There’s even a “stump walk” along the Dogwood Trail that tests coordination. (I didn’t try it.) Walton’s memories of playing in these woods with her brothers led her to share that joy with future generations of children, many who have little experience with nature and its pleasure. Photo credit: Julie Thompson-Adolf, Garden Geek Traveling Mom. 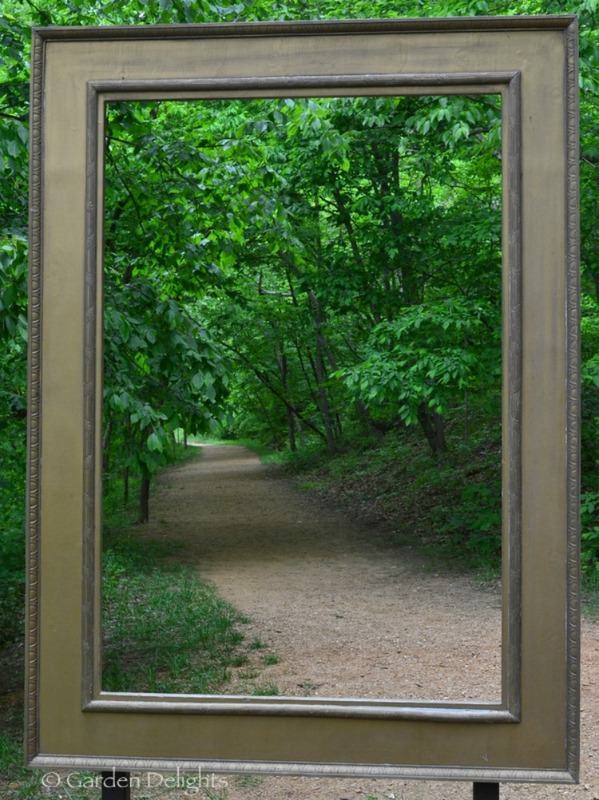 Framed landscape highlights the paths at Crystal Bridges Museum. After a lovely tour, I headed for lunch in the museum’s restaurant, Eleven 11. I don’t know about you, but I have never eaten at a museum restaurant and thought, “Wow. I’d love to come back for dinner.” Typically, museum restaurants offer mediocre, sub-par but pricey hot dogs, hamburgers, and limp salads. Photo credit: Julie Thompson-Adolf. 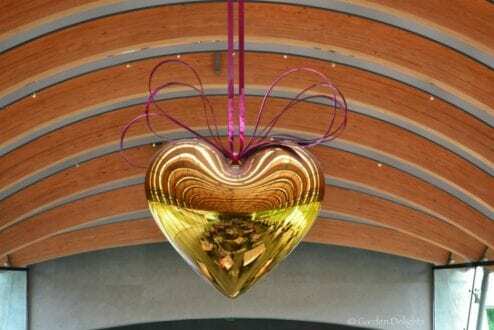 Art permeates every area of Crystal Bridges Museum, including the restaurant, Eleven 11. After a delicious lunch and fabulous dessert, I began the journey through the museum. 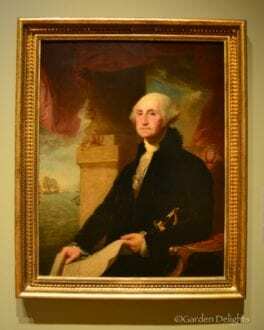 American Art through the Ages. To be clear, although I love art, I’m not schooled in art. At all. To me, touring an art museum is an extremely personal experience. I love to learn about the artists, the periods, the various styles and genres, and simply let the inspiration from the artists’ talent re-energize me. There’s something about immersing yourself in art and allowing the creativity surrounding you to inspire and rejuvenate. While I have exactly no artistic ability—truly, I’ve tried—I love surrounding myself with inspiration. Whether it’s a wild abstract painting, a fascinating sculpture carved from wood that I have no idea what it means, or a realistic oil painting with amazing attention to details and lighting, I’m enthralled. Photo credit: Julie Thompson-Adolf, Garden Geek Traveling Mom. The collection at Crystal Bridges spans centuries, from the classic portrait of George Washington to abstract modern works. Photo credit: Julie Thompson-Adolf, Garden Geek Traveling Mom. 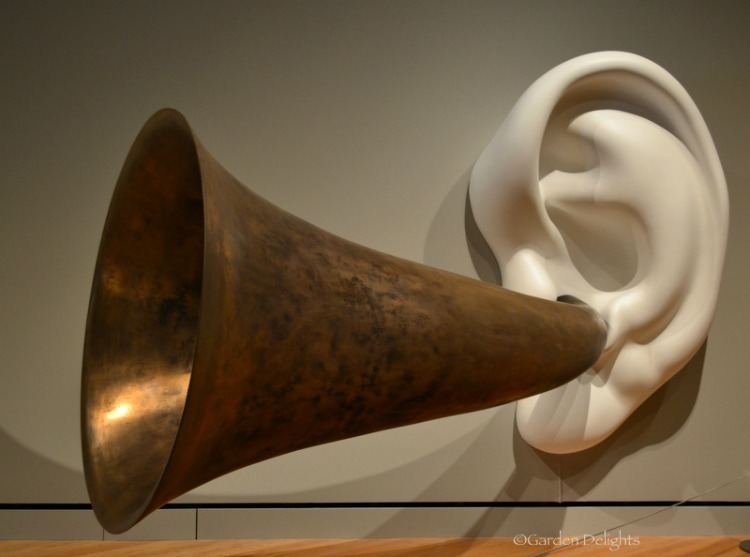 John Baldessari’s “Beethoven’s Trumpet (with Ear) Opus #132” will engage kids and adults alike. Of course, I broke the rules and began with the contemporary collection. Photo credit: Julie Thompson-Adolf, Garden Geek Traveling Mom. Whimsical art inspires storytelling and creates conversations with kids at Crystal Bridges Museum. It’s true. I think often about great works that I’ve seen in person, the ones that linger in my memories. When I chaperoned my daughter’s eighth grade field trip to NYC, I let my group of girls plan our outings. However, when we visited the Metropolitan Museum of Art, I took them upstairs after the Egypt exhibit. 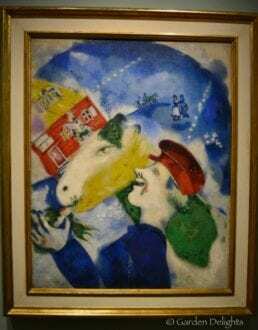 I told them they needed to see some of the masterworks in person, to stand in front of a Van Gogh and a Renoir, to let the paintings speak to them. I said it’s an important part of forming their intellectual character, experiencing art first hand. We don’t often see the Masters in South Carolina. The girls humored me for 20 minutes. At least I tried. Blending Art, Architecture, and Nature. The dedication to environmental issues can even be noted by the installation of a green roof over the gift shop. Photo credit: Julie Thompson-Adolf, Garden Geek Traveling Mom. The museum’s architecture is designed to showcase the masterworks and blend seamlessly with natural surroundings. Photo credit: Julie Thompson-Adolf, Garden Geek Traveling Mom. The much photographed Roxy Paine’s “Yield” provides a perfect testament of blending art and nature at Crystal Bridges Museum. Sadly, my itinerary’s time frame didn’t allow me to view all of the collections. I’m hopeful to return to Bentonville with my family sometime soon. 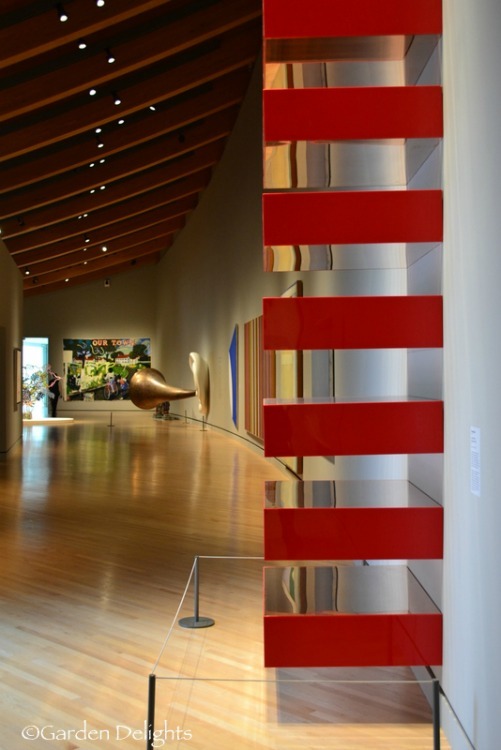 Not only is Crystal Bridges a must-see museum, the town of Bentonville is full of charm. Don’t miss the original Wal-Mart building, which is also a free destination – but you’ll probably need to spend a few dollars at The Spark Café soda fountain. After all, after a day of artistic inspiration, you’ll need to celebrate with ice cream. Hours: Saturday/Sunday 10 a.m. – 6 p.m.; Monday 11 a.m.-6 p.m.; Tuesday CLOSED; Wednesday/Thursday/Friday 11 a.m. – 9 p.m. 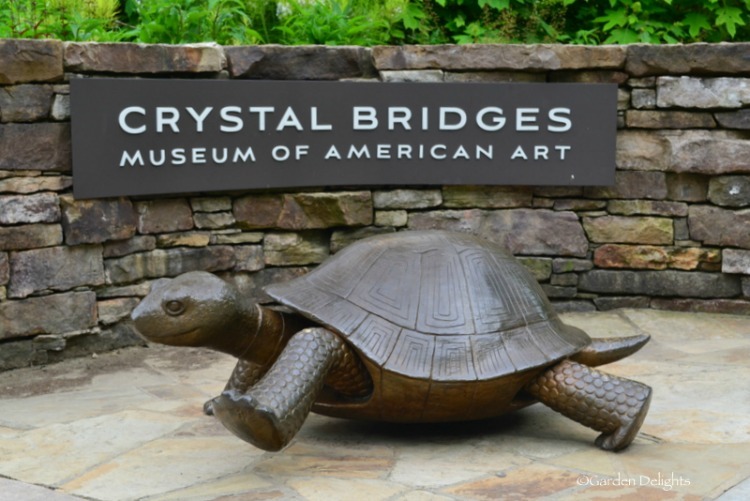 Crystal Bridges Trails and Grounds are open daily from sunrise to sunset. Admission to permanent collection: FREE. 8 Fabulous Things to Do in Gozo. Julie Thompson-Adolf is a garden and travel writer, organic grower, nature lover, Master Gardener, ecoadventurer, and local foodie...who still has to convince the kids to eat their veggies. 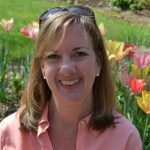 She is the author of the blog Garden Delights, where she shares her love of all things green and helps readers learn to grow their own organic gardens. A former PR executive, Julie travels throughout the world with her Swiss husband and dual-citizen children, visiting European family or searching for botanical treasures. Follow along as she experiences beautiful gardens, ecoadventures with kids, and fabulous local food. Are we sisters? I seek out art museums too — as well as gardens. Here’s a difference, though: I’ve enjoyed many interesting lunches in museum cafes. Thanks for the tips next time I get to Arkansas. I think we’re at least soul sisters, Christine–and I hope one of these days we have the opportunity to tour beautiful gardens and museums together in real life! What a great museum, lots to see, and interesting. It was an amazing experience–I wish I’d planned more time to see all of the collections!